I’ve made dozens and dozens of quilts, but I have never once made one that I could keep for myself. I’ve been too busy giving them away as gifts or selling them to pay for more quilting supplies. But my husband won’t let me steal his quilt and I want one of my own, so I finally decided it was my turn. 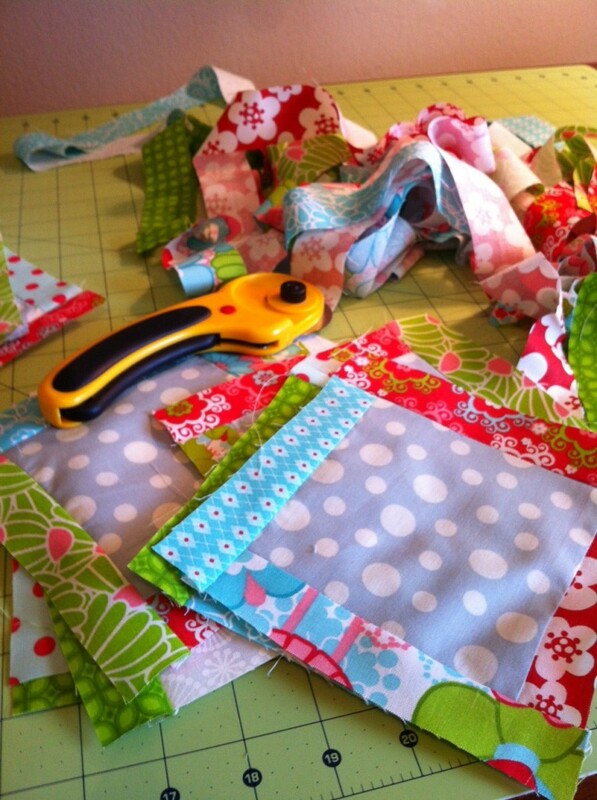 I found some great fabric – a jelly roll – on clearance at Joann’s that I just love, and I used leftover polka dot fabric from Wrenn’s baby quilt for the middle squares (I wanted a piece of her quilt inside of mine – oh the sappiness of pregnancy hormones). I’m almost finished whipping up the top. 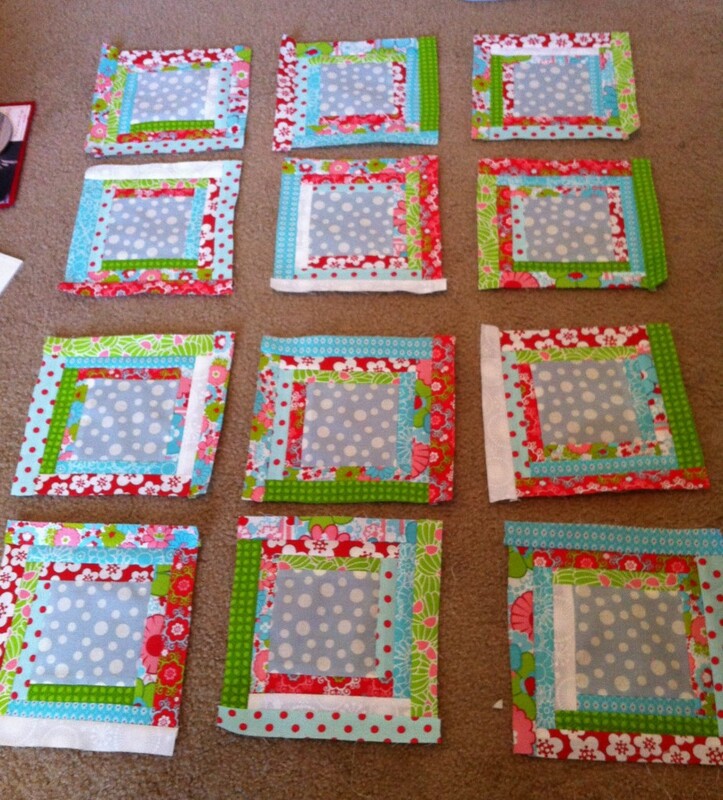 I’m going to sew these into a white background and will probably add a border to add some width/length. My hope was to finish this before Baby Girl arrived, but with this bed rest thing, there is no quilting allowed, so I guess I’ll wait and finish her after Wrenn gets here. It’ll be my first naptime quilt. Interested in seeing my other quilts? Click here. Interested in seeing what’s offered in my online shop? Go visit me on Etsy!